A while back, I shared a very interesting conversation with a Sales and Marketing professional, a personal buddy, while travelling to our respective offices. Amidst pointless chatter, he mentioned in detail an elaborate marketing con he had to pull in order to entice a prospective customer into making a hurried purchase. Apparently, the core focus was to make the sale rather than create a partnership, to plant the seeds of loyalty and open a solid platform for exchange of ideas. For a moment, I envied his take on marketing and people management. A moment later, I realised how wrong and uncalled for this approach was. Am a Digital Marketer- instead of using words and face-to-face convincing skills, I rely on fresh content, social media and loads of online innovation to sell my clients’ products, services or ideas. The other important ingredient that I must always be aware of is Honesty. Unlike traditional marketing, digital marketing looks at things from an elevated angle- the scope, the overall reach amongst prospective customers, and the lasting effects on prospects is many times more profound in the case of digital marketing as compared to traditional marketing techniques. Thus, a good digital marketing professional wields immense power- in terms of the promotional profile of a company. Let me explain this with an example. The last client I handled was a rental car company that specialised in medium to higher end car rentals. This customer wasn’t aware about digital marketing or its many facets but was convinced that his investment into this new mode of promotion will bear good returns, and fast. Maybe, if I were a traditional marketer, I would have towed his viewpoint and only be bothered about my sales numbers. However, as a responsible practitioner of the digital marketing craft, I chose to make him aware about the ground realities- it will take upto 6 months before his company website will feature prominently on search results over Google, Bing and Yahoo. His website needed a ton of modification and all this would cost him a sizable bundle of money. I’am not appalled at discussing the monetary factors involved- I give a more steadfast assurance of attracting reliable leads as compared to anything a traditional marketer would give him! Same goes for the target audience for the Campaign too- if it ain’t honest, my promotional pitch will be quickly shot down. Over the internet, bad opinions spread like an uncontrolled wildfire. Digital Marketing is akin to throwing a very tiny pebble into a very large pond. Anything bigger and the creatures of the pond will fight against this ‘intrusion’. Anything smaller and your impact will not be registered by anyone. By choosing the right tools, the perfect time frame and the correct platform (read Social media websites, blogs, forums and other SEO techniques) the most relevant impression can be made in the minds of your prospective customers to draw the most timely response. This is the essence of Digital Marketing- and it tastes great when served alongside honesty. Are you an SME? 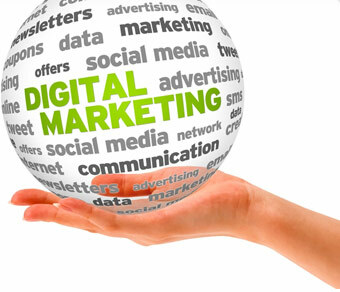 Toboc Biz offers you Comprehensive Digital Marketing solutions that work for your Requirements, Setup and Budget. Get in touch to unleash the full potential of Inbound Marketing. This entry was posted in Digital Marketing Strategy, Search Engine Optimization and tagged Digital Marketing, digital marketing company in bangalore, Online Marketing company. Bookmark the permalink. This one surely is an honest article on Online marketing. Well said. Inbound Marketing is a really powerful. We can reach tons of users without even a F2F interaction and with of course right strategies. Yes, it is not about just providing a feature to customer, it is about understanding his business, his goals, his target audience, geographies and use the right tools, time and relevant promotions which are acceptable by his audience. It is no longer a SERVICE, it is a SCIENCE.